It’s been a long time coming and now it’s finally here! After a high demand from our customers requesting installation services from us, we are happy to announce that we now offer installs and automotive related services at reasonable rates. Our brand new facility which opened up in 2017 is conveniently located at 1465 Chevrier Boulevard, just behind our old building. Installations and work at Speed Factor Racing are carried out by licensed technicians. Our technicians are familiar with all makes/models of vehicles and work with the utmost meticulous and professional standards. We treat your vehicle(s) like they are our own. Every installation, mechanical and electrical, will leave our shop looking like it came that way from the factory. We stand by the workmanship on all of our installs. 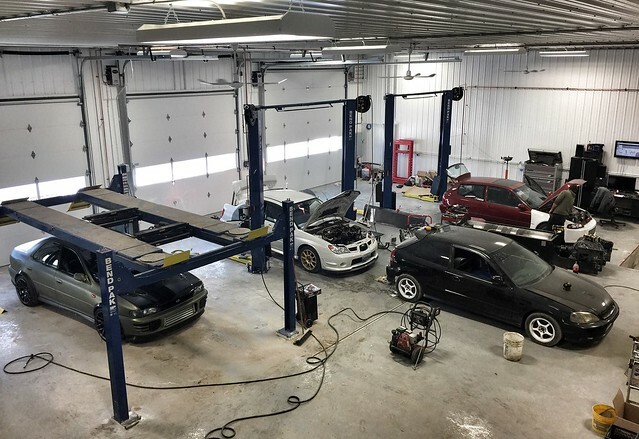 We also offer complete comprehensive maintenance packages that include basic routine maintenance such as oil changes all the way up to full mechanical and electrical services. We can customize any services to create a maintenance package and schedule that works for you and your car. – Replace Engine Oil and Filter.